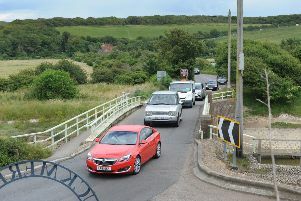 The A27 near Lewes is blocked due to a car collision, according to traffic reports. One lane is blocked on the eastbound carriageway after two cars collided near the A277 Ashcombe roundabout. The blockage is approaching the Kingston Roundabout, according to traffic reports.